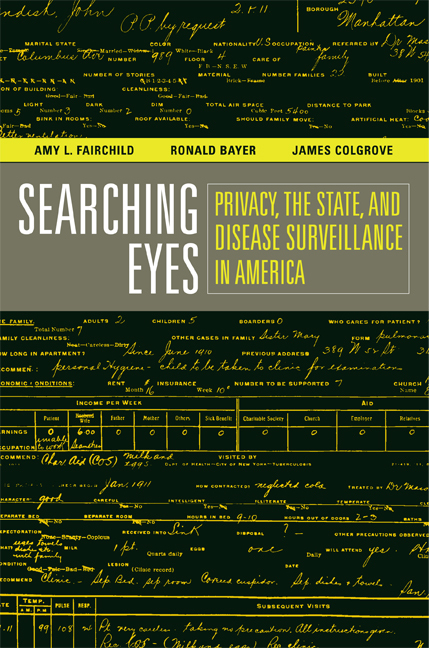 This is the first history of public health surveillance in the United States to span more than a century of conflict and controversy. The practice of reporting the names of those with disease to health authorities inevitably poses questions about the interplay between the imperative to control threats to the public's health and legal and ethical concerns about privacy. 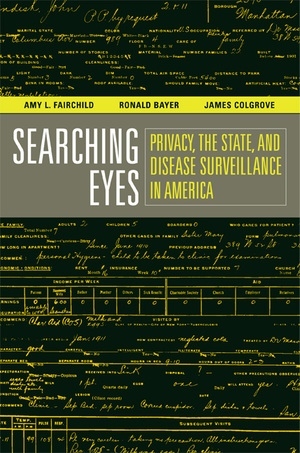 Authors Amy L. Fairchild, Ronald Bayer, and James Colgrove situate the tension inherent in public health surveillance in a broad social and political context and show how the changing meaning and significance of privacy have marked the politics and practice of surveillance since the end of the nineteenth century. The authors are with the Center for History and Ethics of Public Health in the Department of Sociomedical Sciences at Columbia University’s Mailman School of Public Health. Amy L. Fairchild, Associate Professor, is the author of Science at the Borders: Immigration Medical Inspection and the Shaping of the Modern Industrial Labor Force (2003). Ronald Bayer, Professor, is the author of many books including Shattered Dreams: An Oral History of the South Africa AIDS Epidemic (2007) with Gerald Oppenheimer. James Colgrove, Assistant Professor, is the author of State of Immunity: The Politics of Vaccination Twentieth-Century America (2006).